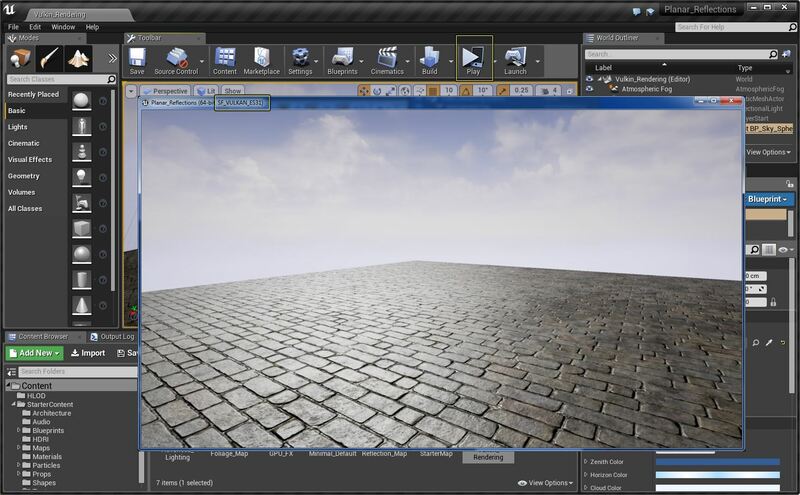 Unreal Engine 4 (UE4) now offers support for the Vulkan API. Vulkan is a low-overhead, cross-platform 3D graphics library that allows developers more control over the GPU and lower level CPU usage for their Android base mobile projects. In the following document we will go over how you can enable and use Vulkan in your UE4 Android projects. Vulkan is currently under heavy development and should be considered an experimental feature at this point in time. If you wish to build and deploy a mobile project using Vulkan you will need to download and compile UE 4.12 from Github. You can enable the ability to use the Vulkan render while inside of the UE4 Editor, you will need to do the following in your project. 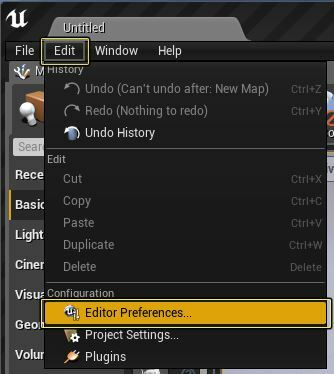 From the Main Toolbar go to the Edit option and then select the Editor Preferences option from the menu. 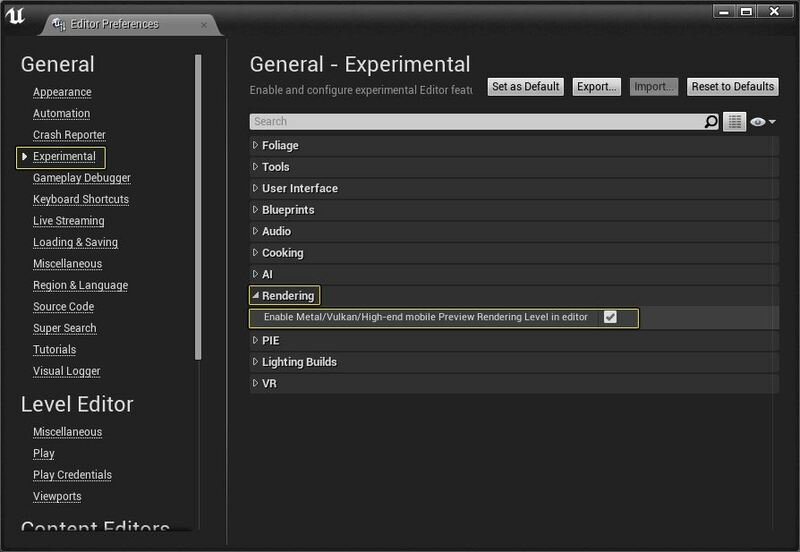 In the General section under the Experimental category, expand the Rendering section and click on the checkmark box next to the Enable Metal/Vulkan/High-end mobile Preview Rendering Level in editor. After doing this, the Editor will need to recompile the entire shader cache to include the required Vulkan options. Depending on the size of your project and power of your development computer, this process could take anywhere from a few minutes to an hour or more to complete. If you see the following two items listed in the lower right-hand corner of the Level preview Feature Level: ES3_1 and Level: Vulkin_Rendering(Persistent) then everything is setup correctly and you are now seeing what your project will look like when viewed on a device that supports the Vulkan API. To enable the ability to use the Vulkan render with the mobile preview render, you will need to do the following in your project. In the General section under the Experimental category, expand the PIE section then click on the checkmark box next to the Allow Vulkan Mobile Preview option. 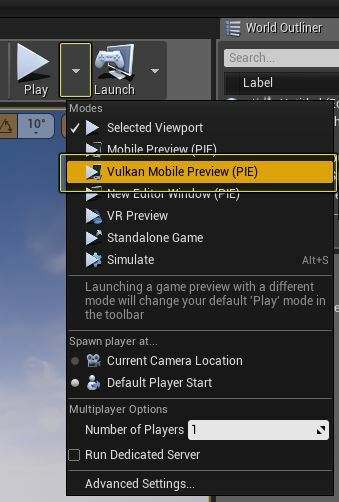 Back in the Main Toolbar, change the Play Mode from Play this level in the selected viewport to the Vulkan Mobile Preview (PIE) option by clicking on the small white triangle next to the play button and selecting the Vulkan Mobile Preview (PIE) from the dropdown list. 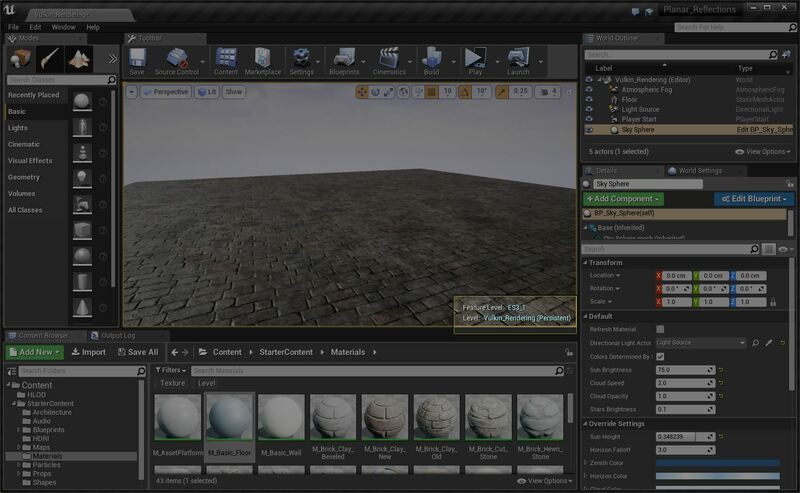 Click on the Play button that is on the Main Toolbar to launch your UE4 project in a new preview window with the Vulkan render enabled. If everything has been setup successfully, you should see something similar to the image below. If you do not see (SF_VULKAN_ES31) at the top of the preview window next to the project name then that means the project is not using the Vulkan API.